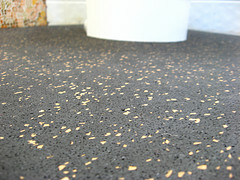 Rubber flooring is a very popular type of floor covering. In the past, it was used solely for industrial and business purposes, and it’s now gaining a lot of recognition from interior designers and layout authorities. Because of its great appearance and multiple benefits, flooring made of rubber is available in a multitude of interesting formats and models, and it features really attractive prices. What? Rubber? Are You Serious? Oh yes, a rubber floor is extremely elastic, chic, and practical. This means that you’ll be able to sit, stand and work on it without any problems. Generally, it is installed in kitchens, retail stores and hospitals, because in these places people spend a lot of time on their feet. With a rubber floor covering they feel more comfortable and can do their job better, and it reduces the risk of injuries that are generally caused by standing on hard floor. Because it eases strain on the legs and ligaments it is frequently referred to as the “anti-fatigue” flooring. Rubber is also used by factories that require static control. Rubber is a terrific static control method because it’s nonconductive. These floors are frequently installed in areas that deal with electronics. Where Should We Install Rubber Floor Coverings? Many people use rubber tiles for protection. They install this floor covering in areas where wet flooring is unpreventable, such as the kitchen, garage or the mudrooms. You can use this flooring in your kid’s bedroom too, in order to prevent accidents. Being soft and elastic, it will avert children from injuring themselves. Rehabilitation centers, fitness centers and several other instruction facilities opt for rubber flooring to prevent slippage and protect people. Also, dance studios and various other rehearsal venues use this type of flooring because it lessens noises. Rubber floor coverings have one more great advantage and that is durability. Quality rubber tiles last for more than ten years. They require only little service and will maintain their attractive appearance. Rubber as a floor covering is resilient and fire resistant, being highly recommended for workrooms. Some rubber tiles come with an incorporated self-releasing wax, which makes it possible for the flooring to self-clean and eliminate abrasions and scratches. However, you will still need to mop and sweep it regularly. Luckily, it can be cleaned very easily with a little bit of warm water and a mild detergent. We truly love that rubber flooring is eco-friendly. Currently, most tiles are entirely synthetic and guy-produced. Manufacturers are trying to use modern day technology and all the tools available to create rubber tiles only from recycled materials. By doing this, trees will no longer be sourced for their rubber and less waste will be produced. The whole manufacturing process will be greener and safer. People are so fond of rubber because it is versatile. You can use it in various places, for various purposes and it can be part of the most interesting designs. There are available countless models of rubber tiles and they come in all sorts of shades, colors, measurements, and patterns. 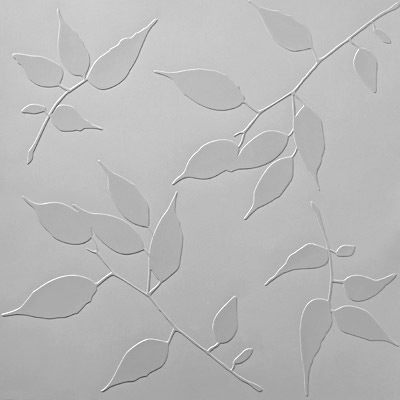 Shades can be lined, streaked, patterned, and, when combined, they will deliver fantastic decorative capabilities. There are accessible indoor and outdoor tiles. Surfaces arrive in sleek, round stud and diamond grip. Non-directional stud styles are the ones you usually see in cinemas and spherical stud styles are rounded. Diamond shaped tiles are frequently used in residences, automobile shops and even in some factories. While it comes in easily installed interlocking rubber tiles, it also comes in rolled rubber sheeting, which is more complicated. If you want to install the rolled rubber sheeting in your house but you don’t fully understand the process, ask a specialist for help or head over online to watch some installation tutorials. Rubber floors can be installed very easily and fast, but if you have never done it before you may come across certain difficulties. The material is a great alternative for a wide array of venues and spaces. It’s durable, practical, it looks wonderful, and it can be cleaned very easily. 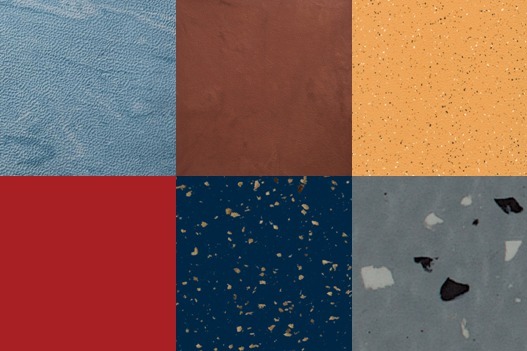 These being said, if you want to give your floor a makeover, choosing rubber is certainly a great idea. Think of the best models, patterns, colors, and styles, and with a bit of originality in mind you’ll completely change your home’s appeal.